Design-led, the IKON spa is a total rethink of how spa technology and modern living come together. Offering architectural cabinetry with flush, screw-less surfaces and contemporary negative detailing, the Flexiteek finish pays homage to decks seen on super yachts for a luxury look. Floating steps lead up to a deck surround that offers space to sit or lie down, as well as room to put food, drinks, and towels. Any dealer would find the IKON to be their signature showroom crowd-pleaser, with its beautiful and luxurious looks. Add to that, gently contoured landscape spa seating that allows users to move around and sit naturally and relax comfortably in multiple positions. “Unlike standard spas, the IKON doesn’t need to be hidden in the ground. It’s something people will be proud to have on display,” explains Vortex Leisure Group CEO Andrew Pullen. “We feel the IKON be extremely popular as it offers an incredibly stylish design that works well with modern architecture and contemporary living,” Andrew adds. Vortex Spas is offering dealers high value marketing assets such as still and video imagery as well as sales training with after sale s warranty support is also provided. In return the Vortex team is seeking dream retailing candidates to stock their spas who have key credentials such as an existing spa showroom and extensive experience in the spa or pool industry. 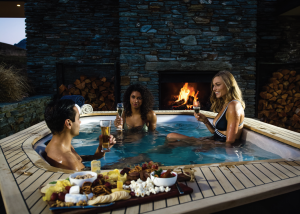 Vortex Spas is part of the integrated Vortex Leisure Group, which owns Spa World, Spa Store, Banff Spas, Arcadia Spas, Fisher Spas, Lifestyle Spas and distributes spa pools and swim spas under various brands to over 20 countries around the world. 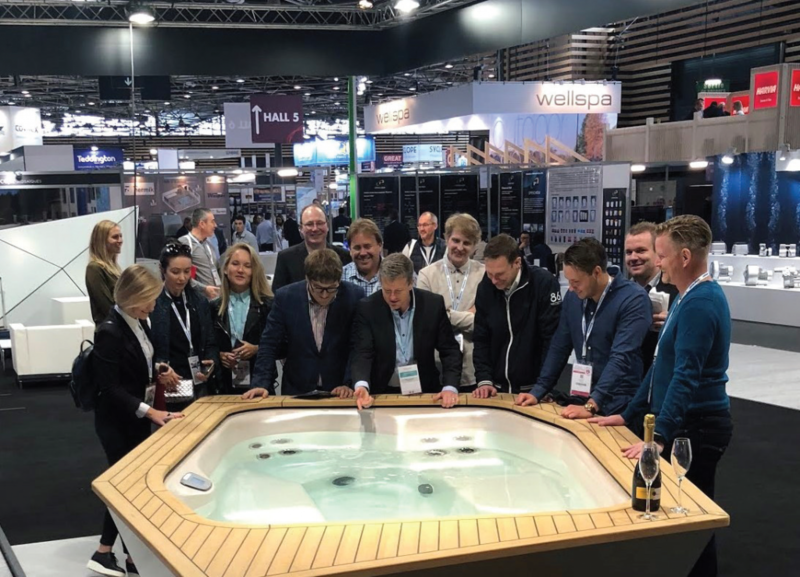 The largest spa and swim spa supplier in the Southern Hemisphere, Vortex Spas will now be available in the UK through an exclusive distribution agreement with Spa Solutions. 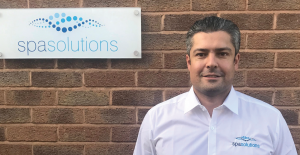 Spa Solutions Managing Director Anthony Schneikert says Vortex Leisure is renowned for producing high quality spas backed up by clever design and excellent customer service. Anthony says: “In addition to the new IKON spa, we’ll be offering retailers a number of Vortex Spas for the first time within the mid-range price bracket that incorporate all the features of a high end produced spa.” With eight to ten weeks delivery time on most models, the IKON is available in two colours, carbon and cloud, the IKON’s architectural cabinetry is made from aluminium composite cladding, with flush, screw-less surfaces and contemporary negative detailing. For retailers interested in this innovative and high-quality product, Spa Solutions will be showcasing the IKON at the upcoming SPATEX show on stand F58. The IKON is also now available to retailers on special order.